In 2006, Nicola Spinks, better known as Nicky, was a full-on fell runner. 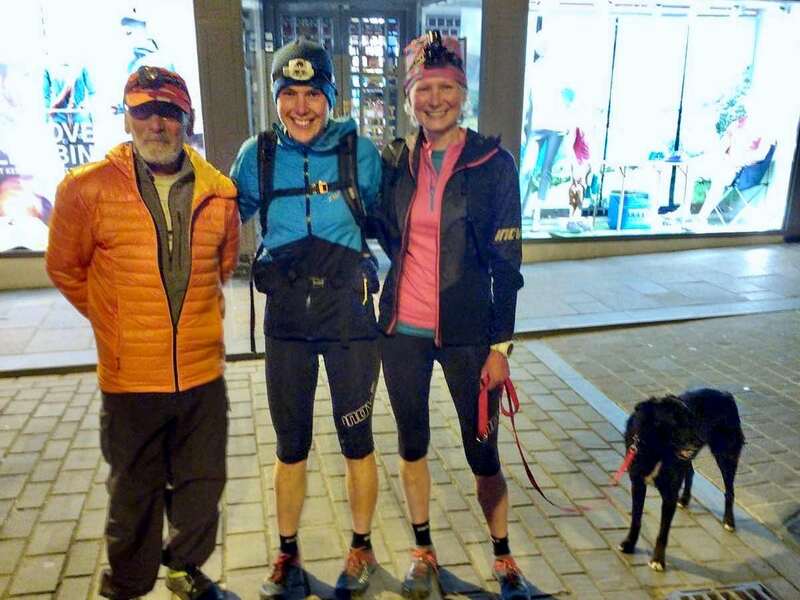 She had finished the Bob Graham Round in England’s Lake District the year before and was setting out to redeem herself on the Paddy Buckley Round in Wales after coming in minutes too late for an ‘official’ finish on her first try. Nicky was becoming quite good, her endurance and strength allowing her to push over peak after peak. But before she could try again on the Buckley, life threw her a different kind of challenge. The lump in her right breast was exactly two centimeters in diameter, meaning it could be small enough to stop before any damage was done or big enough to spread elsewhere in her body. She was told she had a three-in-five chance of that lump being cancer, and she drove home that night in shock. She had fought her husband Steve Burgess about going to the doctor, after claiming the lump was just a tube or something like that. But he won, and on a Monday, Nicky’s doctor told her to go straight to the local clinic. All day she underwent tests: ultrasounds, biopsies, and more. That Friday, she received the feared results and doctors scheduled her for surgery two weeks later. She does not have the cancer gene and no one in her family had ever been diagnosed. She was 39 years old when she had the surgery and will turn 51 shortly. She had a total mastectomy on the right side of her body. Afterward they offered her reconstruction, which would make it even with her other breast. Never considering herself that self-conscious, Nicky felt lopsided enough to do it and was pleased with the results. Yet after interviewing her and writing this article, I think Nicky Spinks is a model. Sure, not a clothing model, but modeling herself and her accomplishments, showing others what they can do despite the challenges life delivers. Nicky has been a farmer for much of her life. She grew up on a small farm with her family, and to get anywhere fast, she ran. After attending university, she graduated with a degree in business studies and went to work in an office. Sitting and staring at a computer too much, Nicky decided to start running again to lose and keep off excess weight. At age 24 though, she met Steve and the two have been managing his family farm in Mirfield, Britain ever since. Thanks to long days of rigorous farm work, Nicky said she didn’t need to run anymore. In 2001, however, she regained interest when a friend invited her to run. Quickly enough, Nicky was doing road races–10ks and marathons–and eventually moved over to off-road races. “It felt a lot nicer to run on the fells,” she said. The fells were quieter, the views were better, and the terrain was much more varied. In the fells, you’re so busy watching your feet and your map that it all goes by faster, she added. By 2005, Nicky had already entered several fell races. Her first was The Trunce, a couple-mile race with 500 feet of climbing. Then she went to an eight-mile race, then a 20-mile race, which she preferred above all so far. Around this time, a friend named Andy Plummer and a fellow member of Penistone Footpath Runners and Athletics Club was attempting his first Bob Graham Round, and Nicky went to support him. Intrigued from the first mile, Nicky decided it was the perfect challenge and a big step up in her own running. 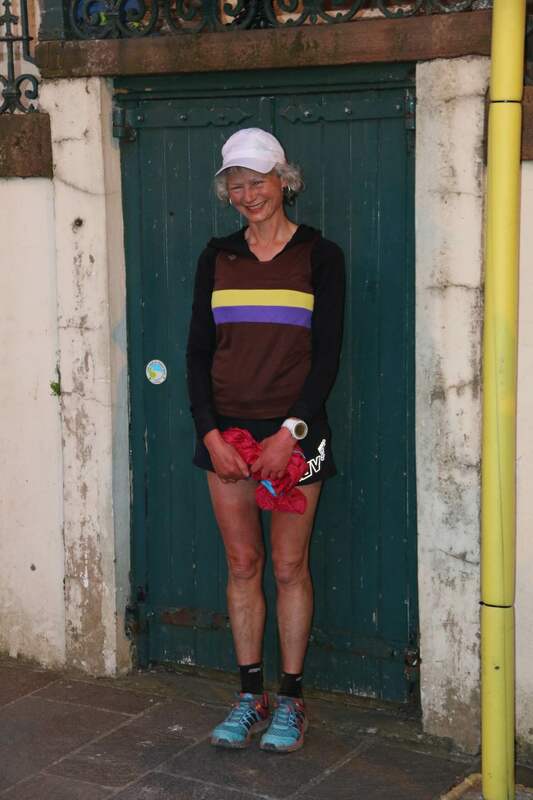 She finished her first Bob Graham Round in 2005 without adjusting much of her training for the route, which is about 66 miles long and has 27,000 feet of climbing. Most of the time, she said, she loved it. 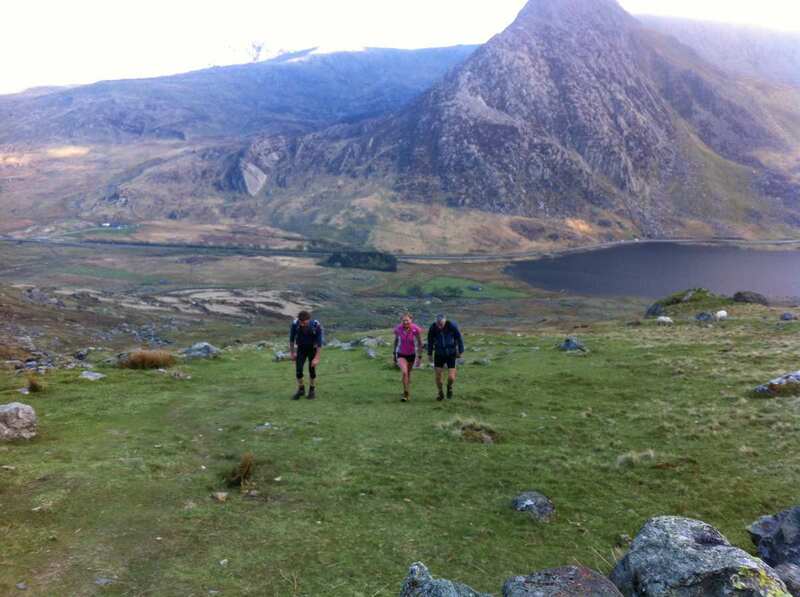 However, her day to traverse the Bob Graham was in horrible weather conditions. Looking back, she honors the challenge for making her mentally stronger, thanks to slippery rocks and blustery winds. She finished in 18 hours and six minutes, what was then a women’s record. Moving on to the next challenge soon after, again Nicky set off on the Paddy Buckley Round in terrible, unsafe weather. Just a few months later, Nicky was diagnosed with cancer and both she and her running goals stopped in their tracks. But not for long, because this is Nicky Spinks we’re talking about. Within three weeks, she was back to running and back on the fells. “I was running weeks later, I think because of my determination to redo the Paddy Buckley,” she said. She happily scraped under 24 hours in 23:25 the second go round. She ran it a third time in 2013, and became the then women’s record holder in 19 hours and two minutes. Recovering was a slow process, she admits. The side effects of the anesthetic took longer to release from her legs. Plus with the reconstruction of her breast, she was required to return to the doctor to get expansion injections every few weeks, knocking her out for days at a time. About two years after the surgery, Nicky had her top performance yet. 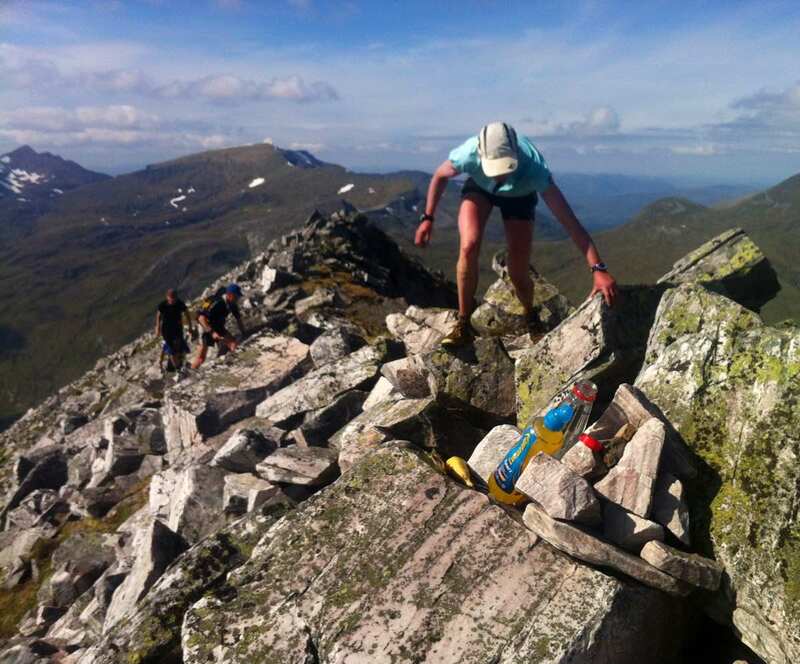 She finished the Ramsay Round in Scotland in 22-and-a-half hours. She ran pain-free on legs that felt strong and light over the 65 miles of mountains twice as tall as those in the Lake District. The challenge also showed off her training, too. Nicky had been dialing up her training, cutting out her junk miles and focusing on getting a good long run in, a tough mountain run, and more speed sessions in during the week. 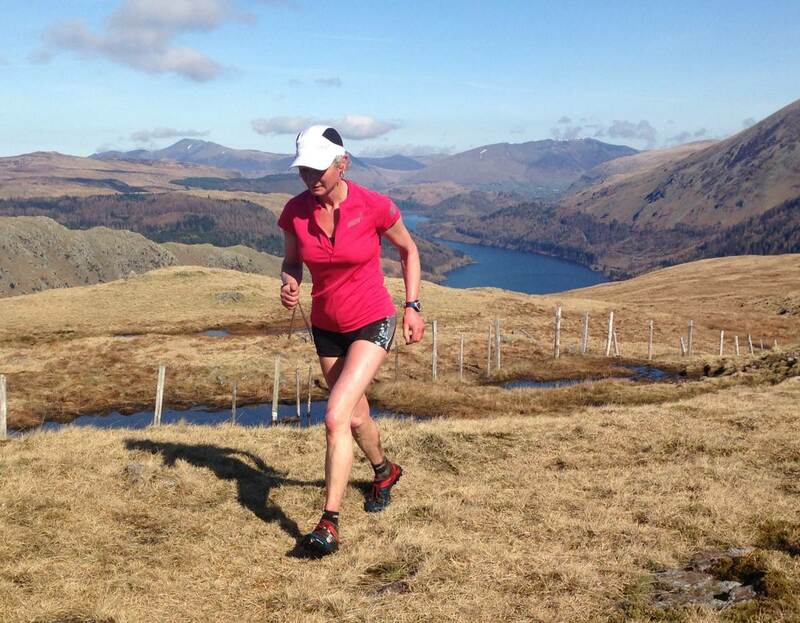 She raced more and focused on working hard, while still having fun out on the fells. 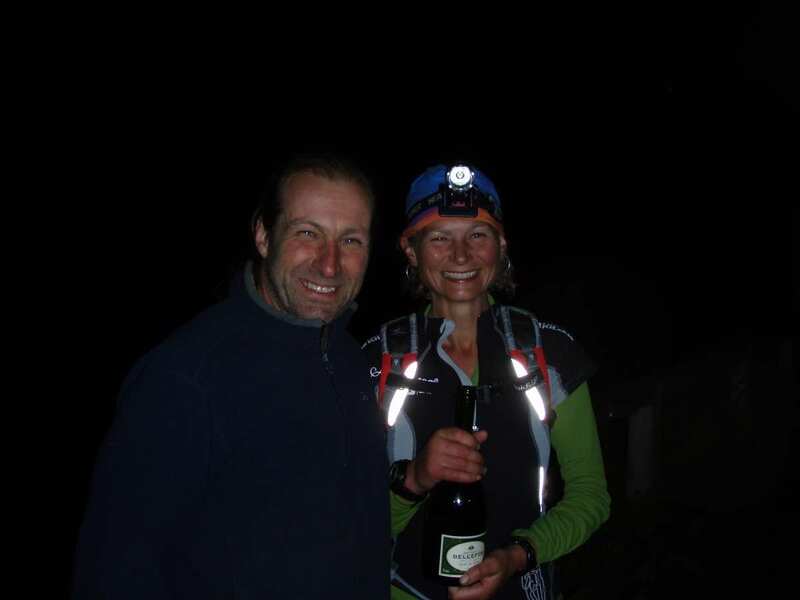 Nicky also became the women’s record holder for summiting the most peaks in the Lake District in under 24 hours, moving the record from 62 peaks in 24 hours to 64, a record which still stands. She set out for this record in 2011, after a friend recommended she try it. To her, it was another tough challenge that was a bit different and out there. You had to figure out how to reach the most peaks, which way to go, and you needed to go fast to get them all in. She began and ended in the Lake District town of Keswick, celebrating her record at 3 a.m. with her supporters and a bottle of champagne. It was this challenge where Nicky Spinks became more than the average fell runner; she became a name in the sport. Her records have also helped her earn a small Inov-8 sponsorship, allowing her to try out new gear and shoes. The Lake District 24-hour fell record is a feat Nicky still looks back on with a smile. Because, of course, it is always after the fact, when stuff sinks in. Fell running is still a low-key sport in the U.K., and still dominantly male. Though the number of participants has increased in races like The Trunce, which went from having 30 people the year Nicky first ran it to around 250 now, the longer challenges and events remain fairly sparse. Nicky sees more and more people using the trails, and sees a greater number of people taking interest in their impact on the land. Finishing the 2016 UTMB. Image courtesy of Nicky Spinks. 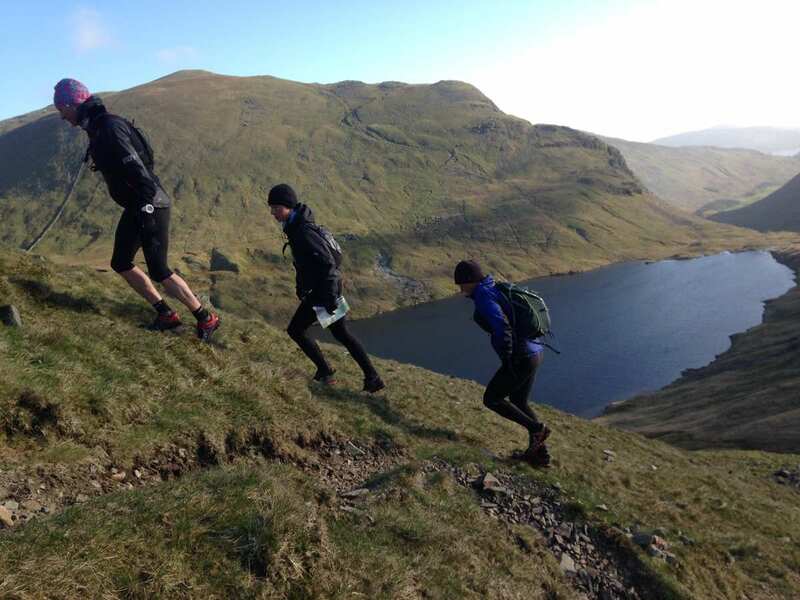 Activities like the Bob Graham Round have increased awareness of fell running, but what keeps the sport small is the amount of work it takes to be successful. There are no marked trails, no aid stations, not even a direct path or route to stick to. Instead, people are out on their own or in a small group sharing a map and compass, trying to make as straight a line as possible to the next summit. This is why Nicky prefers fell running, rather than popular races like UTMB. 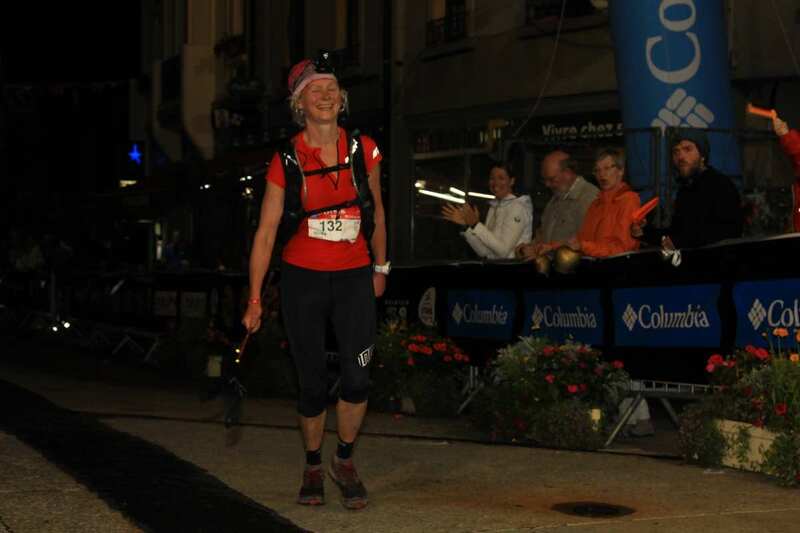 She has finished the celebrated ultramarathon twice now, but will keep it a twice-in-a-lifetime race. For her, she said, she dislikes being one of the 2,000 runners sharing a trail. That may be why there are not as many women taking on these challenges, Nicky thinks. However, that that is changing with women like 34-year-old Jasmin Paris, a good friend of Nicky’s, jumping into the fell running world and turning heads. There is another record Nicky still holds. 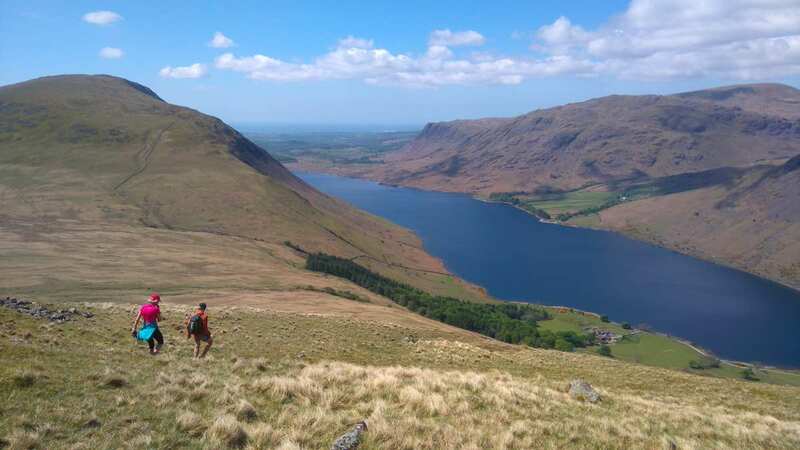 The year 2016 marked her 10-year anniversary of being cancer free and Nicky decided to take on another grand journey: attempting a double Bob Graham Round. The idea had been growing from a tiny seed planted in her mind six years prior, after reading about Roger Baumeister’s finish of the double back in 1979 in a booklet called, 10 Years of Dark Peak. He was the first to try the double and his record of 46 and a half hours had not been touched for 37 years. She set up her crew in November of 2015, asking them to set aside a weekend in May to support her during the 132 miles, 84 peaks, and roughly 54,000 feet of elevation gain. Charmian Heaton, a long-time crew member and good friend, was on board, as well as Jasmin and Roger, among many others. Then the planning started. Nicky schedules her challenges for early spring, when the temperature is cooler and she doesn’t have to slash through much vegetation. It also has her running into the night longer, which she doesn’t mind since she prefers to run at night rather than during the day while training. Then, she talked to Roger. On the morning of the challenge, everything was ready to go. Large bags of food were stowed away in the camper following Nicky to each road crossing. She had her pacers prepared, extra clothes and shoes were standing ready, and the clock was set to go. The cameras were on, too. Her double Bob Graham Round was filmed and made into a documentary called “Run Forever.” Nicky also had a live tracking system so that people at home, like her husband Steve who had to stay and manage the farm, could watch her progress. She didn’t have a story idea or a plan, but wanted a film documenting this adventure. A friend recommended Nick Brown and his crew and they were happy to accommodate. Though the cameras were rolling, Nicky comically admits to not thinking much about the filming. 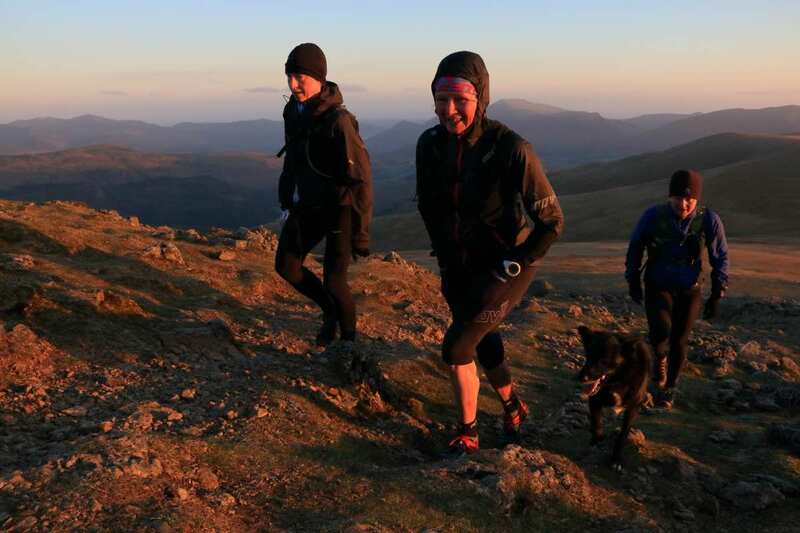 They catch her tagging the peaks, chowing down on fish and chips, and capture glimpses of Wisp, Nicky’s dog, who completed four legs of the challenge. You can hear Nicky say, “Not this time, Wisp,” before taking off again, and seeing her smile hours later when the two pals are reunited. 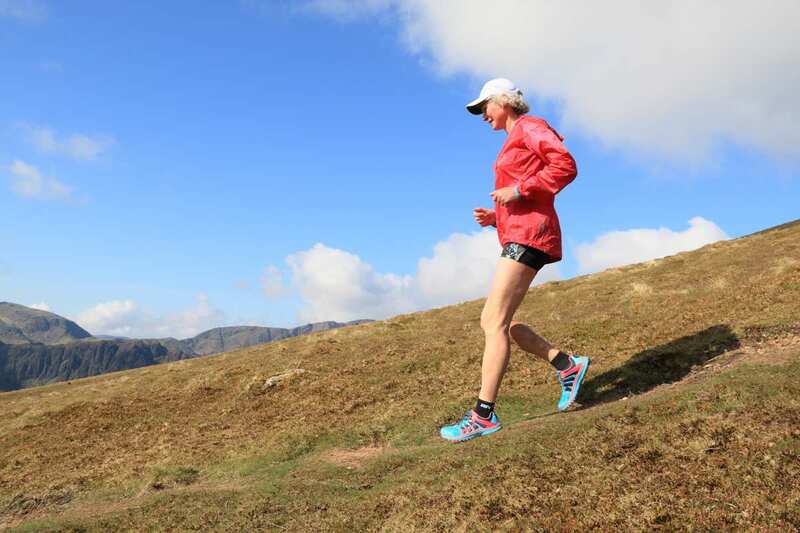 In between running scenes and mountain views, Nicky’s voice speaks about her childhood, her husband, her breast-cancer diagnosis and recovery, and her life leading up to the double Bob Graham Round. The film slips in pictures of Nicky with cancer scars next to pictures of her readying for races, and smiling at the camera as a kid on her childhood farm. Friends like Charmian and Jasmin talk about her amazing qualities and her brother Charlie Spinks explains how she first got into running. The film won the 2016 Judge’s Special Prize at the Kendal Mountain Festival in England. However, the camera didn’t catch everything. It did not catch the hours of planning and scheduling among the crew. Charmian, like Nicky, enjoys the pre-race prep. 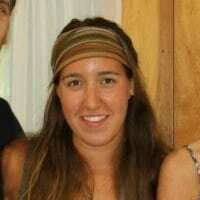 Charmian was the driver of the camper and meal planner. Having been at Nicky’s side for many of these challenges, she is an expert and prepared for everything. Nicky will tell you that she is not the fastest runner, and when she started off the challenge, she didn’t aim to break Roger Baumeister’s record. In fact, she was shooting to just finish, happy with anything under 48 hours. But what her friends will say, and what you see on the film, is Nicky’s unwavering endurance and strength. She never pushed the pace faster than she could manage; kept her body fueled on gels, muesli bars, yogurts, and rice puddings; and she brought out a smile even when it was the last thing she felt like doing. Even near the endpoint of the first round and the beginning of the second, when the temperature dropped pretty low, and Nicky was running on fumes, she kept a straight face. People told her she needed a power nap, just a few minutes, and she would be good, but stubbornly she took off again on another leg. At the end of that leg, Nicky was shocked at how poorly she felt. “I didn’t feel like I had another 18 hours in me,” she said. In the film, you can see Nicky glancing back at the camera. She takes peeks, waiting for it to leave so that she could let loose her tears. It was a last-ditch effort and it worked. Her dream of eating ice cream right out of the carton woke her up happy and invigorated, ready to head back out. With about seven hours left, that’s when she realized the record was possible. With good friends pacing her, Nicky said they came in feeling dopey and happy at the finish line. The last five miles of the run was on roads and it wasn’t until Nicky saw the sign saying “Keswick 2 Miles Ahead” that she picked up the pace to a near sprint. Turning the corner to the finish, Nicky was met with a crowd blocking her way. Not knowing which way to go or how to get through them she just ran right at them. Someone finally spotted her and yelled, “Make way for her!” and the crowd parted. Nicky sprinted up, reached out her hand to touch the door of Moot Hall, and turned around to meet her cheering fans. After 45 hours, Nicky then spent another three hours talking to people, answering questions for interviews, and gobbling down curry and chips. She thanks her many supporters there to see her finish, including fell running legend Joss Naylor, who came out to see Nicky throughout the challenge. She gets a hug from Roger, passing on the record of the double Bob Graham Round to her, now the only two people to complete the challenge in under 48 hours. And, she also takes the time to thank all those who supported her by donating to her chosen cancer charity, Odyssey. The next day was a Monday. Nicky packed up her stuff and left for the two-hour drive back home, and it was a drive home in shock. 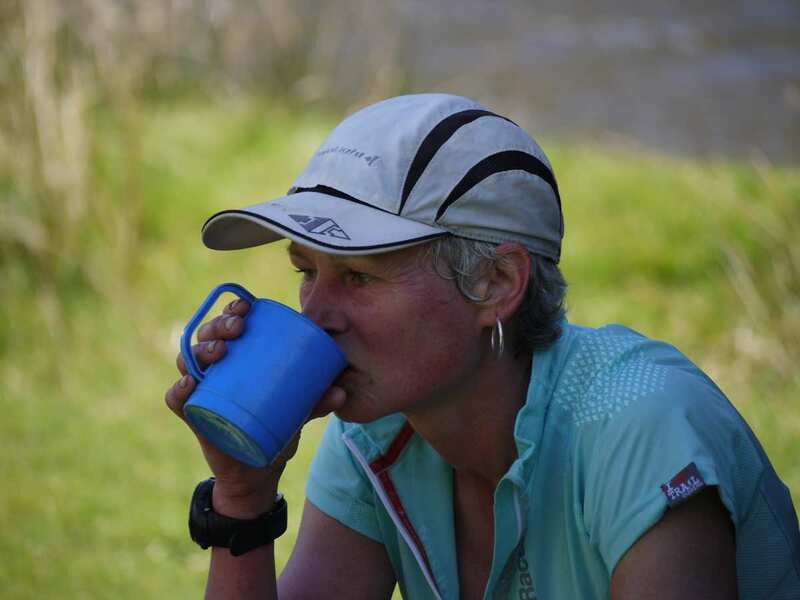 On Tuesday, the breast-cancer survivor and double Bob Graham Round record holder Nicky woke up in her bed, ate breakfast, and started her farm duties, heading to the cattle market. It was nice, she said, none of the other farmers knew what she had done just two days ago. Calling all Nicky Spinks stories! Have you trained or raced with Nicky? If so, share a story in the comments. Thanks! I would love to see her try Barkley. She’s so tough and her navigation skills are obviously excellent. Wasn’t she also a finisher in the Dragon’s Back Race 2012?